With the NBA officially back on the map, The Crossover addresses training camp storylines, including Jimmy Butler's trade rumors, Kawhi Leonard's laugh and much more. I know many people joke about the NBA never really taking a break, but damn, it feels like only yesterday I was seething at my TV after J.R. Smith forgot the score in an NBA Finals game. Somehow, we’re already back in training camp, which means we can finally see LeBron lounging in a Lakers jersey, and which second-and-third-year players have actually put on 10 pounds of muscle during the summer. What was once briefly exciting has become excruciating. The Jimmy Butler trade saga is like when your parents tell you the family is going out for a free lunch and you find out you’re actually going to a hotel for a three-hour pitch on why you should buy a timeshare in Nova Scotia. The Butler saga has been transaction obsession at its worst. Local media is reading into the Heat’s practice schedule and the literal whereabouts of players during media day. 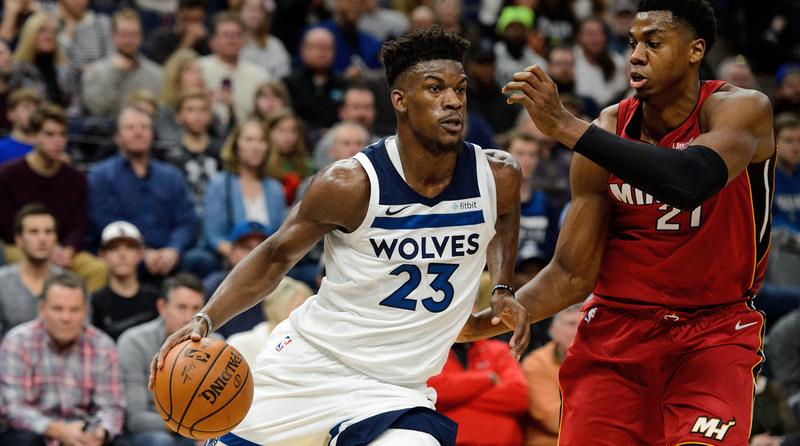 The national media has reported within the span of like, five days, an entire range of outcomes, from Tom Thibodeau not wanting to make a trade to a list of teams that may or may not actually be Butler’s top choice. Would a Jimmy Butler Trade Move the Needle for the Clippers? It’s just all too exhausting. When the trade happens, we’ll all find out! It won’t be a secret! In the meantime, it actually doesn’t really matter how many teams may be involved and who is trying to leverage who and which airport Butler wasn’t actually spotted at. Let’s just agree to talk about this a little bit less until it actually happens. I’m not seeing enough discussion about this. I’m happy that Tony Parker is still getting paid. But seeing him in a teal and purple uniform like some 12 year old has gotten too carried away with his jersey designs in 2K is stressing me out. We can’t normalize this. Parker should have never left the Spurs. I also have a feeling the ending here is going to be more depressing than people realize. It helps that Parker has a previous relationship with new Charlotte head coach James Borrego, but will Parker really be satisfied coming off the bench? What about when he’s not closing games? I bet that was a little bit easier to swallow for a historically successful Spurs franchise. And what if Kemba Walker doesn’t re-sign and Parker is somehow the No. 1 option at point next year? I’m the slightest bit nervous at how this entire situation will play out. From a purely “I spend too much time on Twitter” standpoint, the relationship between LeBron and irrational Kobe fans promises to be a hilarious subplot throughout his entire Lakers tenure. James was already asked about how he plans on earning Laker fans’ respect at media day, with the subtext there basically screaming, “How will you win over the Kobe loyalists?” James demurred when asked, mostly refusing to take the bait and citing his four-year contract as a show of commitment to L.A. Still, the number of years on his deal won’t be enough to convince the most hardened Kobe faithful that James is serious about making this whole Laker thing work. Those people will want championships, and even if that’s the case, they’ll twist themselves into pretzels trying to argue how Bryant is actually the better player. (He’s not.) And we all know it’s only a matter of time before Kobe injects himself into the conversation with a tweet about his L.A. legacy, hoping we still forget about that time he asked for a trade out of town. I really can’t wait for this Lakers season. 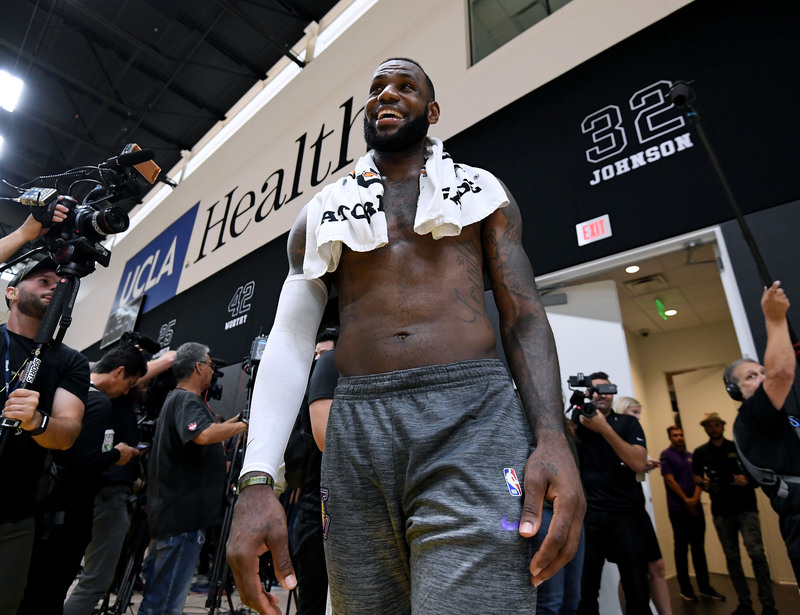 By January, LeBron is going to be fed up with soaking up minutes at backup center and the “MUD” unit of Rajon Rondo, Lance Stephenson, Michael Beasley and JaVale McGee. LaVar Ball is going to claim he should be ahead of Rondo on the point guard depth chart. And Magic Johnson will try to send a tweet to make it all better while L.A. toils in the back half of the playoff bracket. The dysfunction potential isn’t quite Wizards level, but it will be fun. It obviously doesn’t serve Irving or Durant to talk about free agency and what they’ll ultimately do when both currently have championship aspirations. But both are flight risks. Is that pure speculation on my part? Sure. Still, the KD-to-Knicks whispers are almost growing loud enough to the point of grumbling, and Irving just flat-out shouldn’t be trusted. This is the same guy who thought about requesting a trade in the wake of an historic Finals victory in which he hit the series-clinching shot. Basically, it’s not really worth reading into what either guy is going to say about next July throughout the whole season. That decision will have been made far before any of us have realized. I’m sure both fan bases would love hard and fast commitments. But whatever they have planned next—even if they stay—is almost definitely already in the works. Seriously, what the f---? I can’t get enough of the Kawhi laugh. Every time I see the video on my Twitter feed, I have to watch it five, six, seven, or 80 times. I can’t believe it’s real. Is this how Leonard laughed as a kid? What would he sound like at a stand-up comedy special? Did Masai Ujiri immediately regret the trade once he heard that laugh? I do have some sympathy for Kawhi, who was trying to show he was a normal guy when answering that question and instead became arguably the meme of the year. The uses of the laugh have already been incredible, with some so thoroughly NSFW that I won’t even risk linking to them here. Instead, I’ll leave you with this surprisingly catchy laugh-remix-song that somehow isn’t completely unlistenable. Kawhi is never going to laugh again.